...and its here to help! The signs have been there for a while haven’t they? Charlie bit my finger. Sneezing baby panda. Gangnam Style. The Harlem Shake. Yes we are well and truly in the golden age of video. The world of online video is booming, and it’s not just teenagers filming themselves lip syncing to the soundtrack from Frozen either! You’ve heard of the saying ‘a picture is worth a thousand words’? Well, a one minute video on your website is estimated to have the same impact as 1.8 million written words. Frankly it’s a miracle if you are still reading this! Shockingly however, it is estimated that only 24% of businesses use video in their online marketing. When you consider that a video on your website encourages visitors to stay an average of 2 minutes longer and that 46% of those visitors take action after watching the video, then clearly the other 76% of businesses are missing an easy and effective marketing opportunity! So what is it about a good video that makes it so effective? Well, video is essentially a story telling device; a device that can either deliver its message with compelling subtlety or with in-your-face wow-factor. Video can exaggerate, be enthrallingly vague or be straight to the point. 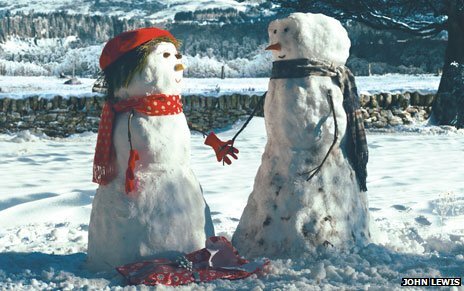 Can you imagine a written advert trying to sell John Lewis products by telling the life story of a woman or the journey a snowman goes on to find true love?! No, only a video can convey this kind of story with the desired effect. Incredibly, without the videos showing a single product on sale in their stores John Lewis have the nation in floods of tears and queuing up to buy their Christmas presents from them – now that is video at its very best! Next week we'll take a look at some less successful videos - and how you can avoid the pitfalls.